Be welcome in a GNU/Linux world! 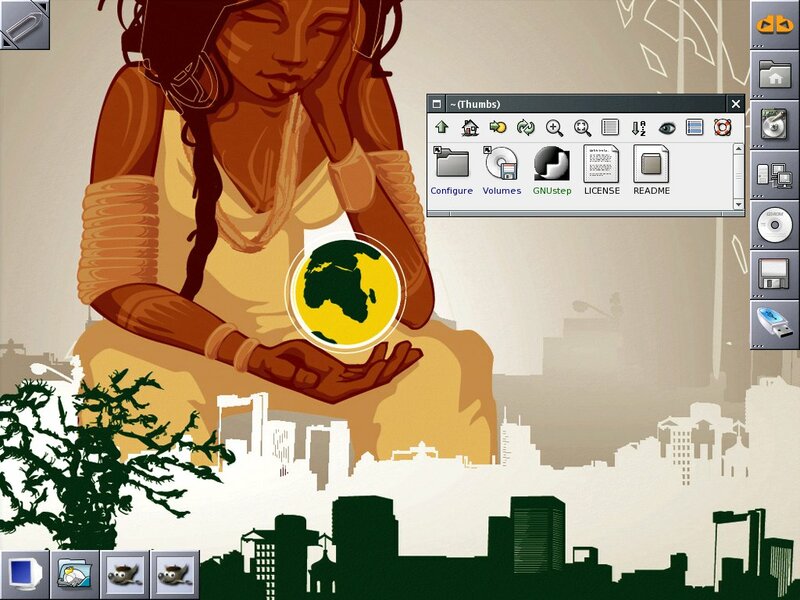 Free software operating system for media activists, artists and creatives. 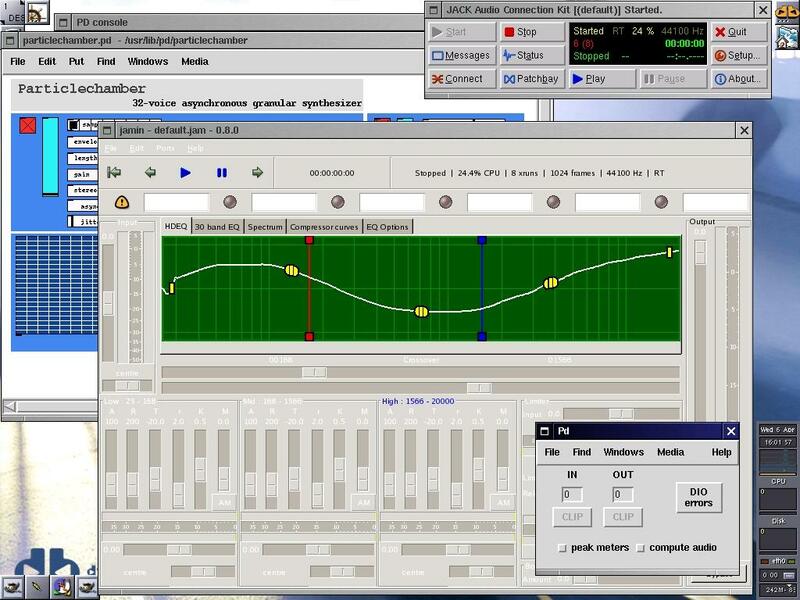 Dynebolic is as a practical tool for multimedia production: you can manipulate and broadcast both sound and video with tools to record, edit, encode and stream, having automatically recognized most device and peripherals: audio, video, TV, network cards, firewire, usb and more; all using only free software! 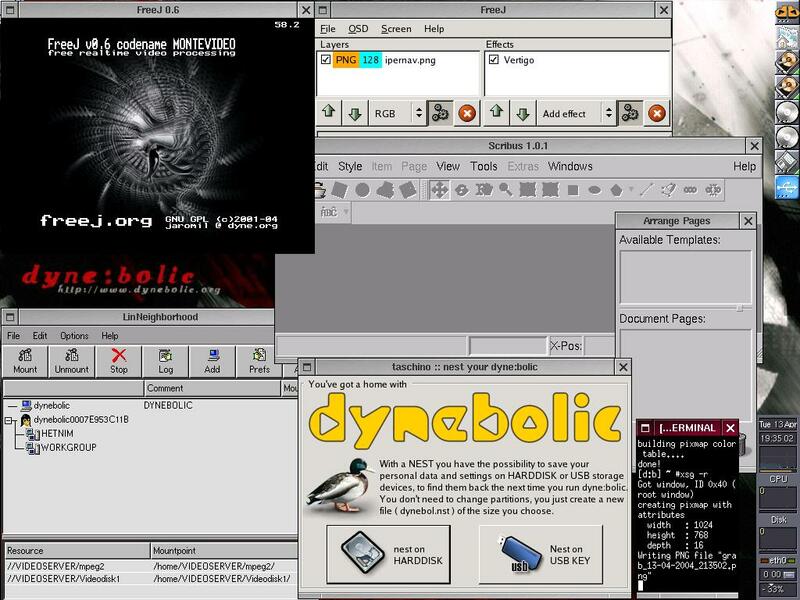 Dyne:bolic is one of the GNU/Linux distributions recommended by the Free Software Foundation: no proprietary software is inside, no closed source firmware. You are free to study, modify, redistribute and even sell this operating system, as long you grant the same freedom to others. This operating system is designed to run on Pentium2 processors with 256MB RAM, not even an harddisk is needed. Unleash the full potential of computers even with a second hand PC. Let’s stop consumerism and use well what we have. 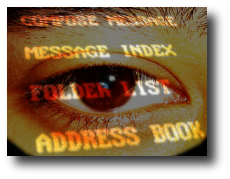 This software is about digital resistance to all those governments and corporations trying to monitor and control the way we communicate, we share our interests and knowledge. Liberate yourself from mental slavery. Our operating system does not include any cloud-service and does not establishes background communications without the consent of its user. 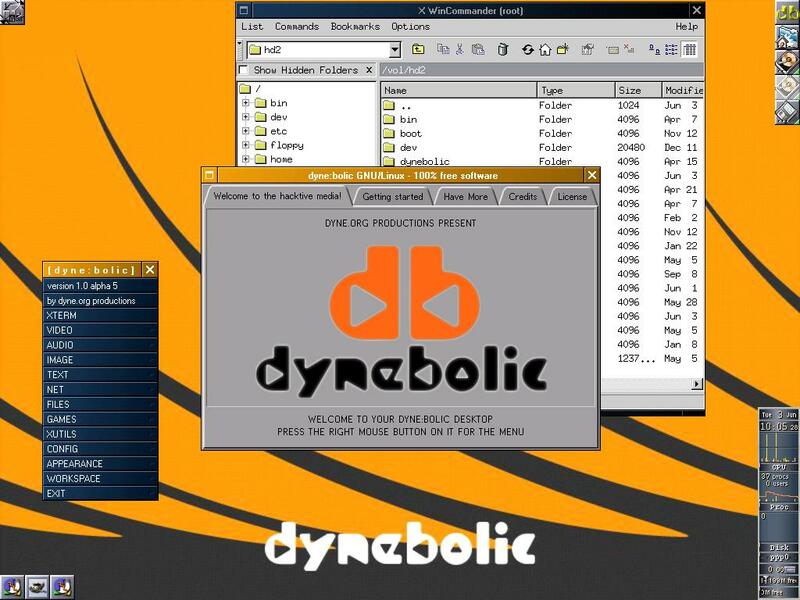 Dynebolic also includes support for strong encryption of private data, thanks to our software Tomb. 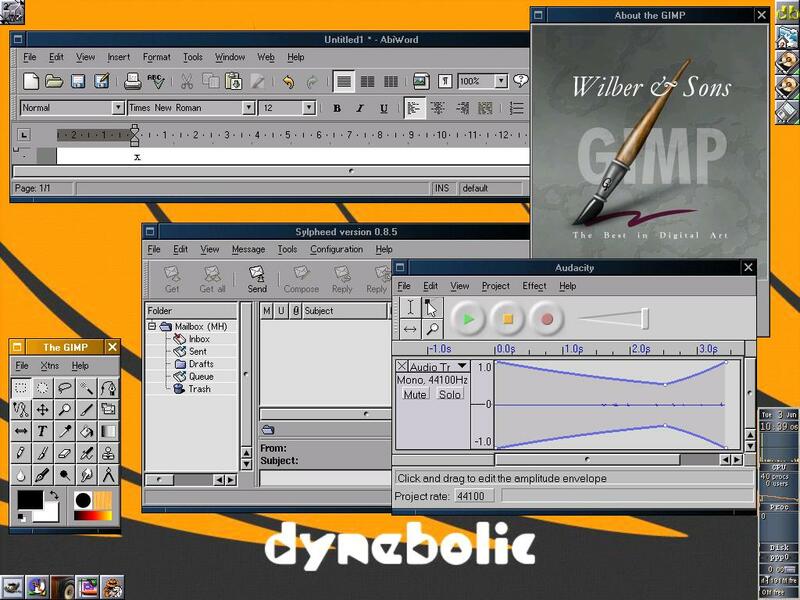 Dyne:bolic includes free software for the production and not only for the playback of media. For each application that lets you listen there is one that lets you express, without the need to buy or install additional components. We want to make it possible for people to be producers and not just consumers of information. 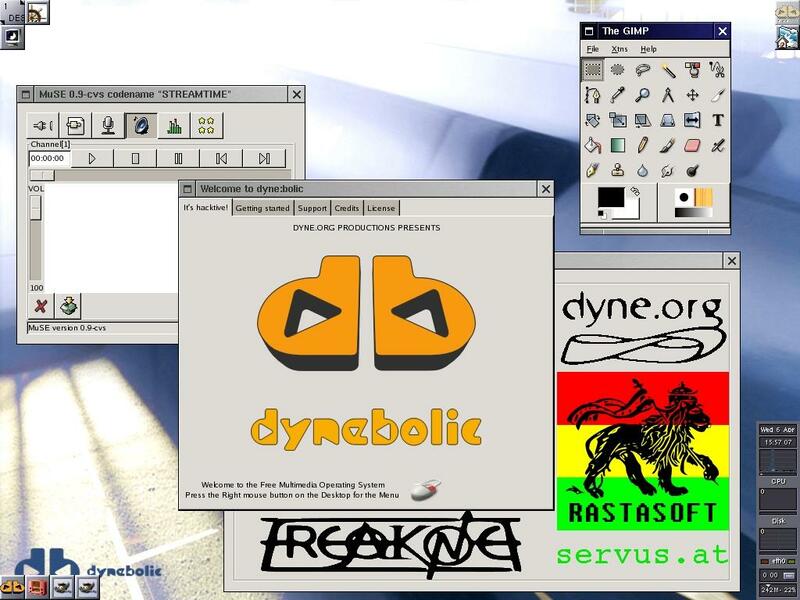 Since its birth in 2000 dyne:bolic has been redistributed by several magazines and adopted by universities, community initiatives, medialabs and public institutions around the World. 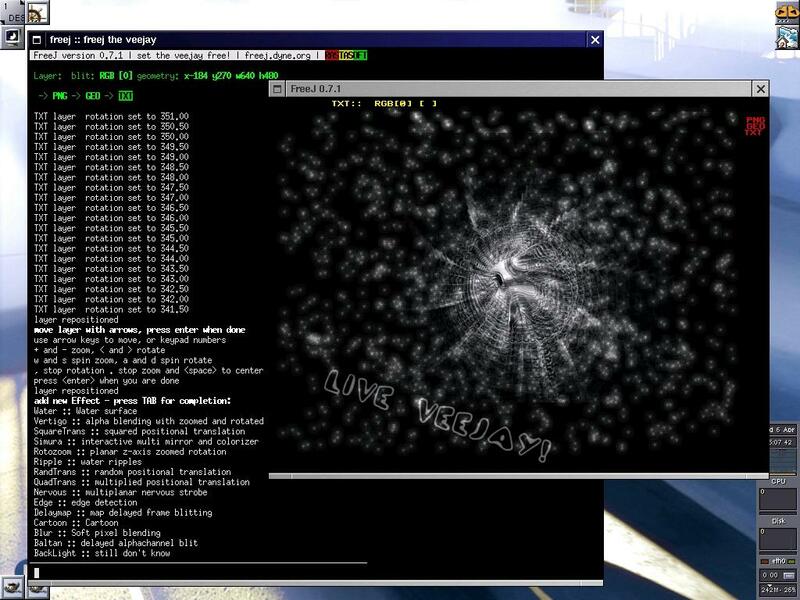 Dyne:bolic is a multimedia studio that you simply pop into any computer and start it up, instantly turning it into a Linux/GNU system without affecting existing things on your computer. 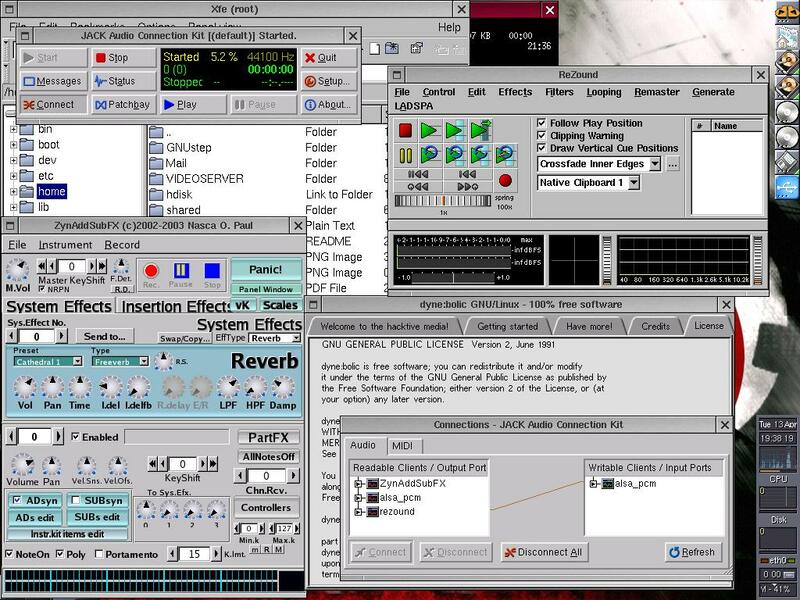 Readers with older Windows PCs can use Dyne:bolic to run the GNU/Linux version of Pure Data on their machine without affecting their Windows installation, creating audio files in GNU/Linux before transferring them into their sequencer. It has all the right apps for an artist to express his creativity, without the headache of installing and configuring them. 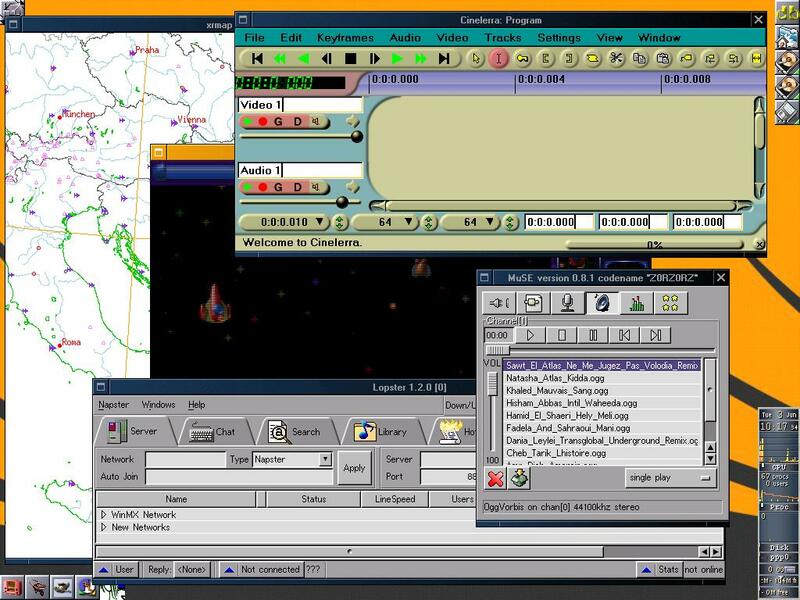 It includes some of the best free and open source tools with which you can compose music, mix video streams, and create 3-D animations. Please consider being a part of the wonderful group of people who help to make development of Dyne.org software possible. It is only thanks to your generosity that we can find the resources to continue our mission. Not for profit organization established in 2005 with reg.num. 34237525 in The Netherlands. Sometimes we organize events and workshops around the world, leave us your email if you like to receive a notice.